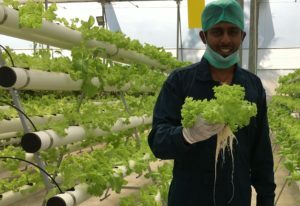 “Magnificent appearance, rich flavor, stronger aroma, succulent taste and higher nutritional value are the unique features of the greens produced and supplied by my hydroponic farm. 15 thousand plants are raised in 6000 sq feet area in soilless media in the most natural way without any use of pesticides. Hydroponic is the solution to many problems agriculture is facing today like space constraint, climate change, water scarcity etc,” shares Mr. Vishal Narayanaswamy, young farmer and founder, Long Tunnel Farms. A year ago the farm was established in Chennai, Tamil Nadu. Exotic herbs and greens are produced in the farm and entire produce is sold within the city under the brand name ‘Hydro Herbs’. Mr. Vishal moved into hydroponic farming after devastating impact of cyclone on his family farm that uprooted around 15 mango trees transplanted 30 years ago. Taking the risk of investing his personal savings of Rs. 45 lakh he decided to farm in new way by integrating technology. 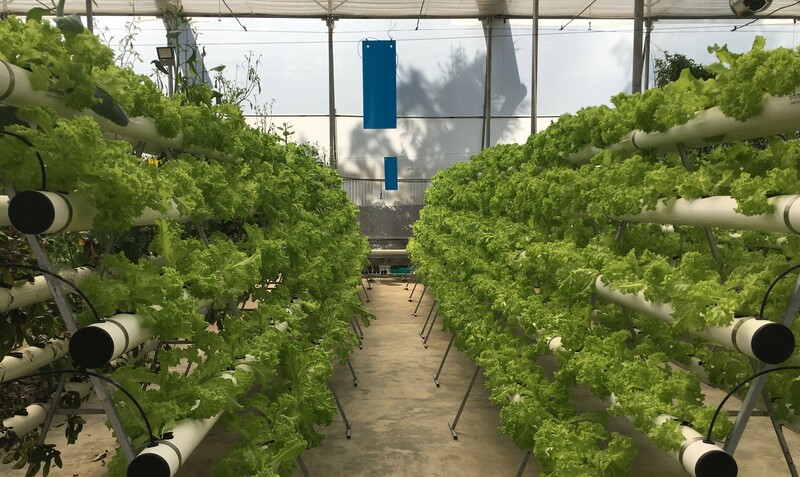 “We came back much stronger, greener and cleaner with hydroponic farm. I am glad I took the risk to invest my savings in this business because it is paying off well right now,” he affirms. The technology used in the farm is Nutrient Film Technique (NFT). “The plant roots are held in expanded clay pebbles. Later these roots are suspended in the shallow water containing the nutrients in the long tubes. We mix all the nutrients as required for the plant growth in the water. The formulation of nutrient mix is different for vegetables, fruits and greens,” he informs. Nutrients are made from botanical extracts and natural minerals. These are imported along with the seeds. RO water is used in the farm for growing the plants. Everyday 200 litre water is required for replenishing for 15 thousand plants. In order to have consistent growth of plants it is critical to maintain the EC (electrical conductivity) and pH in water at optimum level because an error might be fatal for the plants. Different levels of EC and pH enable each plant to absorb different nutrients from the water. “We vary the EC and pH in water on daily basis so that each plants gets a well rounded diet from the nutrients mixed in the water,” he elaborates. The production cycle of greens is approximately 2-2.5 months. 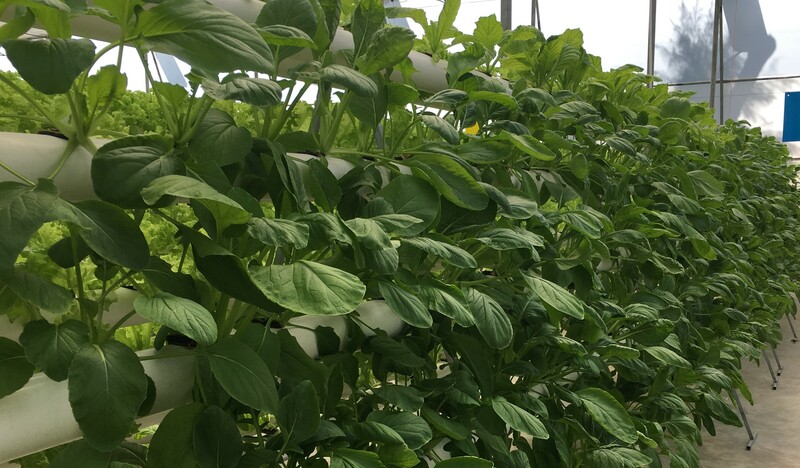 It is easy to grow food through hydroponics but what to grow and how to sell it are the two main factors that control the success of this business. Crop selections were made after experimenting 180 varieties of crops out which presently 30 varieties of greens are grown. Few to name are four varieties of basil, 4 lettuce variants, 3 kinds of kale, celery, parsley, mustard greens, Japanese and Korean herbs etc. “Initially for six months I carried out experiments to understand what would grow in my farm in compliance to the climatic conditions of the Chennai as the city usually has hot climate round the year. Besides my farm is located just 600 meters from sea shore thus humidity is quite high. I documented every minute detail of the crop growth to know the process well,” he elucidates. Everything produced in the farm may not sell in the market therefore market analysis is equally important for farm success. “It took me a long time to understand the consumer requirements and the process still continues. Keeping the customers in consideration I focus more on exotic varieties of greens to cater to Korean and Japanese communities in Chennai. Many of them are working here as expats in automobile industry. They like to eat their food here so my crop selection is based on their cuisine. As a result, growing as per the market has helped me to sell my produce well now yet I continue to experiment on crop selection and understanding the market is forever learning journey,” he insists. Products are priced competitively and fixed most times of the year. “I have priced my farm products quite aggressively because the market is price sensitive and I want to reach more and more consumers. It is possible when my products suit their pockets. Besides I am able to keep less price because being a local producer I harvest and supply fresh produce every day. Consumers have access to fresh greens all days. 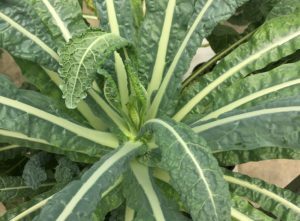 Consequently they are able appreciate the freshness and delicate taste of my greens,” he explains. Greens are harvested as early as 4 am, packed inside the polyhouse and delivered to 5 stores between 9-10 am. The stores are located 20 minutes drive from the farm. “By evening my products are sold off and I start receiving the next day orders. Consumers have started asking for Hydro Herbs brand from the retailers and this is extremely encouraging for me as a farmer!” avers Mr. Vishal. Hydro Herbs is getting attention of consumers because of freshness and taste of the products. It is so because the crops are nurtured naturally without any use of pesticides. “We even do not use the bio-pesticides. There is absolutely no need of any such inputs apart from the nutrients mixed in water. We are able to keep the pests away because we practice stringent hygiene rules in the farm such as we cover our hands with gloves, mouth with mask, wear different pair of sleepers when entering the farm. Besides the floor is mopped with neem oil infused water. I am too concerned about my plants and would not allow anything to spoil it. With clean surroundings and adherence to sanitation rules our farm is safe from the all sorts of pests. No major issues have happened so far,” states Mr. Vishal. With less price and superior quality ‘Hydro Herbs’ has crafted a distinctive recognition for itself in the market. Presently the demand exceeds the supply. “We started with supplying once in week, then twice and now it is six days in a week. Demand is growing very fast. To keep up with the demand I am planting more as well as plan for expansion by taking a new farm on lease,” he reveals his immediate plans. Mr. Vishal did his masters in Aviation Management and holds an associate degree in Aeronautics from Florida, USA. His work took him to Spain and Africa. Later he switched his field with a new venture water bottling plant in Seychelles, Africa. “Now I am a full time farmer,” he says proudly. Inspite of being just a year old, Long Tunnel Farm is riding high on consumer preference because Mr. Vishal has reduced the food miles thereby offers reasonably priced and fresh products on their plates. 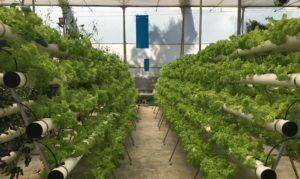 “Traditional farming is all about acres of cultivation and that doesn’t work with hydroponics. 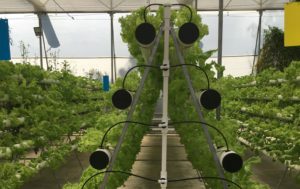 We need multiple hydroponic farms in an urban setting because with high capital investment the production cost is also high therefore we have to save the money wherever we can! Transportation charges is one such money saving area. Reduce the gap between the farm gate and a consumer’s plate to increase turnover and profits in this technology driven farming,” he signs off.